At the age of 32, divorced and alone, I suddenly found myself in a deep depression. Never having experienced this before, I didn't know how to cope. Seeing my car keys, I was going to drive off a cliff. The next morning I awoke and was scared by what I had felt. At that point I begged God for something to change. Suddenly I heard, ever so quietly, a whisper without sound, but with words that formed clear, transcendent impressions expressing an impulse urging me to write. I was familiar with the term channeling and what it meant. I knew I was experiencing it because what followed was beyond anything I had ever experienced before. One day very soon after, I began receiving what I knew to be channeled information through an energy source outside of myself. I asked if this energy had a name. Adonys came to me. For two years I wrote many books and developed a deep relationship with this writing. I changed from an angry, frustrated, lost person to being more focused and calm, with a purpose to learn and study everything sent to me. It changed my life. I was ready to find the man of my dreams. I asked Adonys for help. Suddenly a different energy entered, another channeled loving spirit calling himself by the name of Jim. He actually lived in Carmel, California, at this time. Over many months he wrote me detailed love letters. He was the man of my dreams. I was so infatuated. Then I decided to try to find Jim. With a map, directions, and symbols he sent to me, I actually flew with my girlfriend to Carmel, California. This true story gets even crazier. Did I find my soul mate? You have to hear this true story to find out! What a sweet powerhouse of a story. Whether you have ever had an inkling of past lives or not, you are in for a surprise. The author tells the story simply and honestly, including the calamity of her life around the time she first experienced a most unusual encounter. Disarming and real, April Larkin's true story is a testament that there is so much more going on beyond the unseen "veil." She has witnesses to her story and from what she notes in her book, there is more to come, much of it channeled. If ever someone wanted to introduce an audience to extraordinary possibilities, April Larkin has surely done it. I can't wait for the next release of her channeled work. 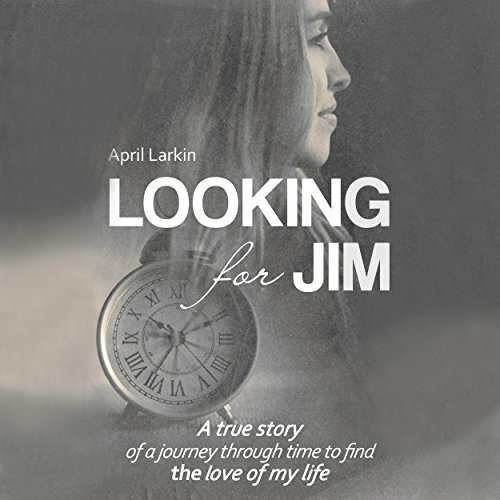 What did you love best about Looking for Jim? The writer reached deep inside to write the story of her journey searching for love. What was one of the most memorable moments of Looking for Jim? When she found the "Love of Her Life" at home not somewhere far away. When she returns home to find her true love.